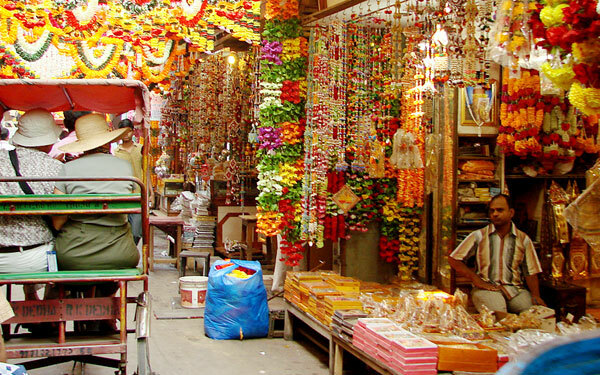 Home » Delhi » What are the best markets in Delhi? In Delhi, you will find several markets. Before going there check that it is opened, most of the markets are closed one day. Here are the best markets that you must do, and their opening hours. • Chandni Chowk. It is closed on Sunday. It is the best market of Old Delhi, a must do! Here you can buy some jewelry, fabrics, electronic goods and street food. Then, you definitely must visit the Spice market in the area. • Sarojini market. This market is closed on Monday. It is an export surplus market. In this market you will find clothes from famous brands that have not been sold. It is cheap but have to bargain to get a good price ! • Sunder Nagar. This market is closed on Sunday. You will find art galleries, handicraft shops, jewelry… It is a quiet market, people don’t really hassle there. • Tibetan Market. It is opened every day, and located near Connaught Place (metro station Rajiv Chowk). There are many little stores where you can find Tibetan jewelry, antiques, wooden lamps, miniatures… You will also find Tibetan food such as thukpa, momos and chowmein. • Janpath Market, just next to both Palika Bazaar and the Tibetan market, is very famous for tourists, you can buy traditional Indian goods, but also trendy goods. It is cheap but the quality is not the best! As every where, bargain a lot, they charge high prices for tourists, most of the time they double the price! This market is crowded, it is fun to explore this area. This market is closed on Sunday. • The Ramesh market, it is an export market. You will find many brands such as Zara, Mango, that have not been sold. You must bargain, but each articles is cheap compared to the original price! Each article costs approximatly 100-150 rupees. It is worth it, but you must search a lot, as most of the clothes are under plastic bags! It is located near the metro station Laxmi Nagar, you must get there by metro as it is on the east of Delhi and a bit far from the center. • The Paharganj Market is located near the New Delhi Railway Station (metro station New Delhi). It is opened every days until 9 pm. This market is quite dirty, but In this place you can find anything you want with good prices if you bargain well. You can find bags, shoes, statues, fabrics… But this is quite a hippie market, as many guest houses are in the area. This is not the best market for the ambiance. • The Leather market (also known as Russian market or Yashwant market) is a hot spot amongst many locals and tourists, especially Russians, who mainly come here to unfold what this place has in store for them. From leather goods, fancy jewellery and fur coats to Chinese food, this place is a hub of all the interesting things, a shopaholic wouldn’t mind exploring. The surprising part about this market is that you would hear Indians conversing in Russian, since most of the shopkeepers are fluent with the language here. You can find this market near Safdarjung Tomb and Race Course metro station (yellow line). In general, other markets that are closed on Sunday are: Nehru Place, JOr Bagh, Malcha Marg, Sadar Bazar, Yashwant Market. The markets that are closed on Monday in Delhi are: Defence Colony, Jangpura, Karol Bagh, INA Market, South extension. Those that are closed on Tuesday are Greater Kailash, Green Parkn Kalkaji, Safdarjung Enclave, Vasant Vihar, Shahdara and Yusuf Sarai. 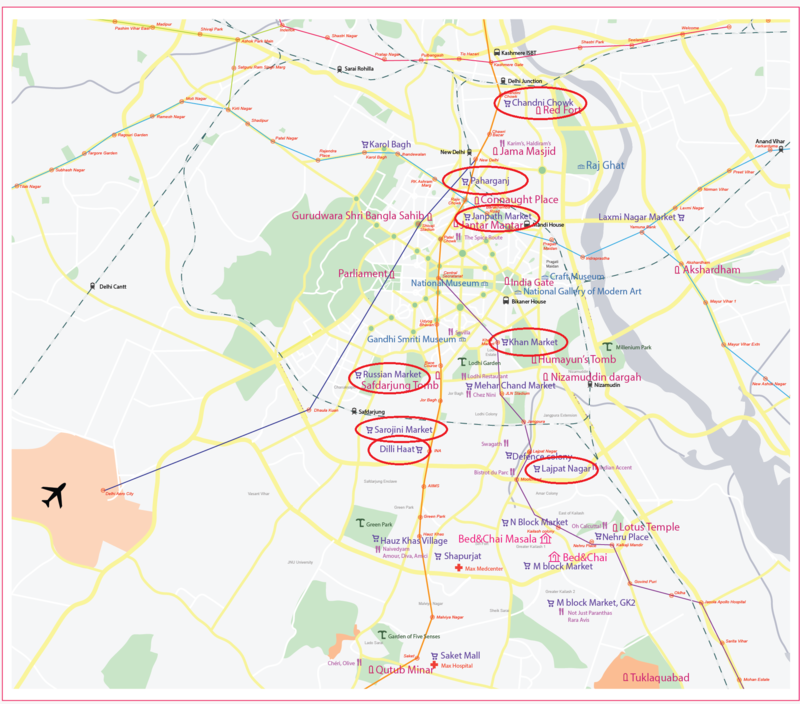 ← Where to find an open space to work in Delhi ?